If you’ve ever listened to the voice of the Tuscan tenor, Andrea Bocelli, you might think you were hearing the voice of an angel. 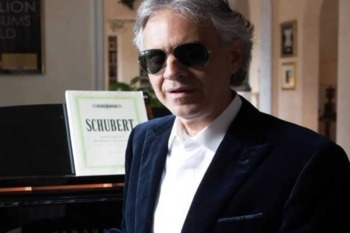 Bocelli’s story is one of inspiration; he was born with glaucoma, lost his eyesight at the age of 12, and went on to sell more than 80 million albums worldwide. His memoir was adapted into a biopic, The Music of Silence; the film was directed by Michael Radford (Il Postino) and stars Game of Thrones’ Toby Sebastian. If you are living with glaucoma, SDCB can assist you in a number of ways.